But when Germany finally scored in extra time, Rihanna went wild. 5. 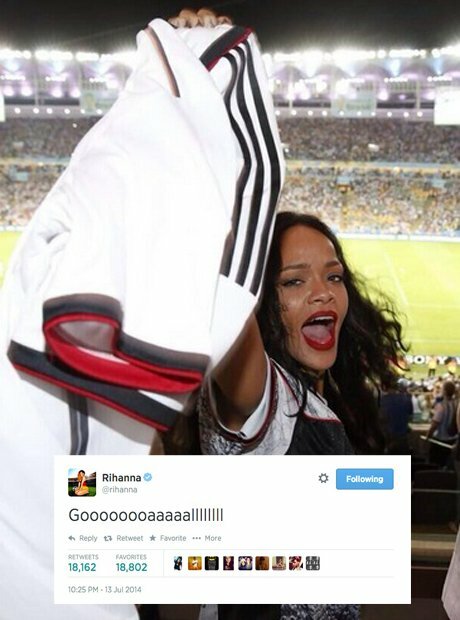 But when Germany finally scored in extra time, Rihanna went wild.